More than three years ago, Mendocino and Sonoma Counties formed an informal broadband coalition to expedite broadband deployment, assist service providers applying for broadband infrastructure grants, and to educate the public about universal broadband adoption. During this time, the two counties formulated the Route 1 Corridor Project (R1CP) as an integral part of the Northern California Middle‐Mile Infrastructure (NCRMMI), proposed by Golden Bear Broadband LLC (GBB) to provide much‐needed affordable dependable middle‐mile fiber backbone. Unfortunately, the Golden Bear Broadband grant application to the California Public Utilities Commission was withdrawn earlier this year after facing stiff opposition by the incumbent carriers. Since there are no other immediate options for funding broadband middle‐mile backbone along the Route 1 Corridor, the Mendonoma Coast, at least, will remain permanently frozen in a rural digital divide, damaging further its already faltering economy. It is not unreasonable to expect that similar conditions exist in the other Northern California counties. State of Broadband in Northern California, 2013 (2.1Mb pdf) provides a detailed status summary of broadband service in Mendocino and Sonoma Counties with implications for all of Northern California. 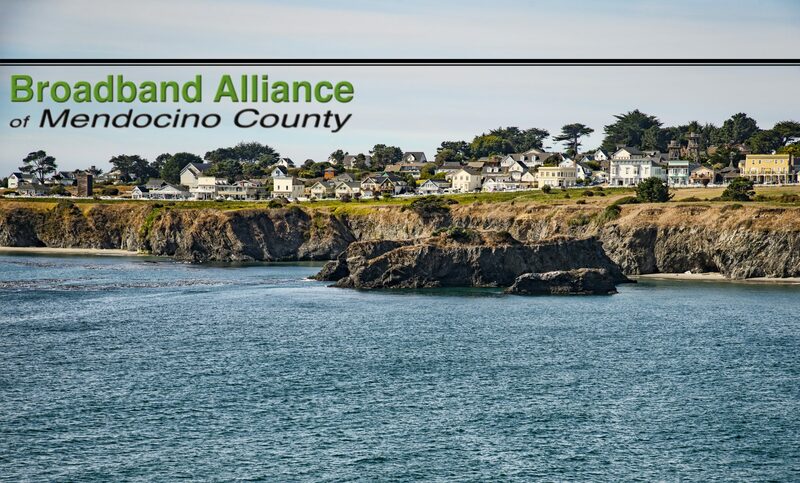 If you are affiliated with any Northern California County government, visit our County Governments webpage to find out how your county can join Mendocino and Sonoma counties’ quest for full broadband service throughout the region.